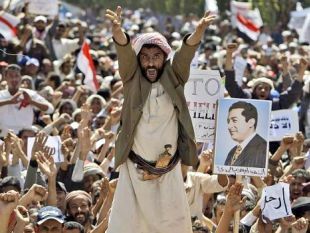 Five years after the Arab Spring, most Middle Eastern countries have either devolved into chaos or restored autocracy in a bid for stability - at the expense of region's burgeoning desire for freedom. At what point does it become clear that a despotic regime which ruled for decades has come to the end of the road? Is it the moment when, on the streets, the balance of terror between hundreds of rioting young men and the security forces suddenly shifts, and helmet-clad policemen begin to flee for their lives while their vans are set on fire? Maybe it's when the president of the United States comes out in the media and announces that the long-time ally, who has received billions in military assistance and diplomatic backing, must go now? It certainly happens when behind closed doors the generals and intelligence chiefs put the by now-impotent leader on notice that they are refusing his order to open fire on the protesters. At that moment the very soon-to-be former-president should probably rush to the airport and board his private jet for the refuge for deposed dictators: Saudi Arabia. For me, the moment I understood that something had fundamentally changed in the first two countries undergoing what we then began calling, in exuberant optimism, the Arab Spring, on the squares and boulevards of Tunis and Cairo, was when ordinary civilians began speaking freely of years of repression and of their hope for a different future, aloud – without looking over their shoulders every few seconds. The media focused naturally on the young hip activists, linked up on Facebook and Twitter, and portrayed them as the leaders of the Arab revolutions. What remained with me were two much older men, in their sixties judging by their appearance, who showed up on that first revolutionary weekend in Egypt in Cairo’s Tahrir Square. Their entire lives had been led under military dictators, Nasser, Sadat, Mubarak and the Mukhabarat (military intelligence). They hadn’t known a day of freedom of expression or of democracy. But something had urged them on that first day, when the fear of the police had been removed from central Cairo, to come to the square, thronged with young people, and express themselves. One stood on a curbstone and shouted for an hour broken slogans on the great Egyptian people and its right to decide its own fate, until his cigarette-charred voice was completely hoarse. Another wrote his messages on a little piece of paper and walked among the foreign journalists, beseeching young people to translate them to the world. It was a moment when it seemed as if all the Orientalist concepts of Arabs not being prepared for democracy and sticking with strongmen dictators had crumbled in the face of the universal human yearning for freedom. That’s how it looked in Cairo and two weeks earlier on Avenue Bourguiba in Tunis, where groups of people gathered to discuss the form of democratic government most suitable to them. A month later, Mubarak was in jail and the seeds of revolution were sprouting in Libya, Yemen, Bahrain and Syria. Five years later and only in Tunisia is there any memory of the sweet sound of freedom. Three months ago, in one of the most justified decisions of the Norwegian committee, the Nobel Peace Prize was awarded to the Tunisian National Dialogue Quartet, a forum of veteran activists who coordinated between the trade unions, the business community, the lawyers and other power bases, and succeeded in dragging their country back form the brink of chaos. The quartet led a process which saved Tunisia from political paralysis, an inept and failed Islamist government and an outbreak of assassinations. Even now, it’s hard to declare that Tunisia out of danger. Thousands of young people who have gone off to join the Islamic State, also known as ISIS, in Syria are just part of a jihadist threat which resulted last year in two large terror attacks killing dozens of Western tourists. The old business and political elites have regained much of their old standing. And still, Tunisia is a paradise compared to the other countries in the region. Egypt’s first post-revolution elections were relatively free. As in Tunisia, they were won by the Islamists. 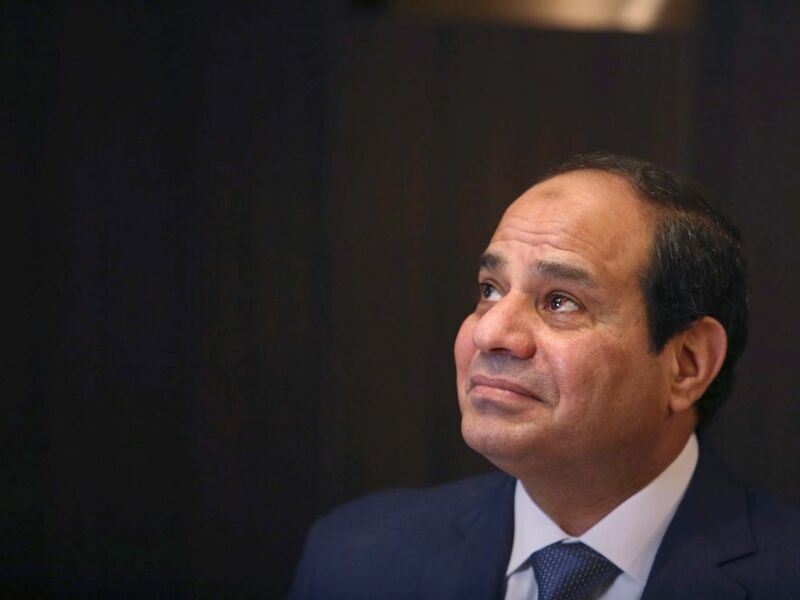 But in Egypt’s case, the inexperienced Muslim Brotherhood wasn’t replaced by a more democratic alternative but by a resurgent and reinforced military dictatorship – General Abdel-Fattah al-Sisi, a younger Mubarak on steroids. The army had learned its lesson and was determined to increase its stranglehold on power and the Egyptian economy, even at the price this time of hundreds of deaths of protesters on the streets. 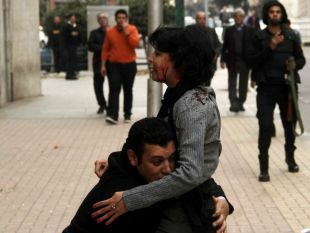 Tahrir will not repeat itself and the square is being rebuilt so it will no longer accommodate mass demonstrations. Not only the Islamists, who were relatively easily portrayed as dangerous jihadist terrorists, but also the young secular idealists were driven underground or into exile. The generals won’t repeat their mistakes and even the Obama administration, which for a year entertained the notion that an Islamist democracy could survive in Egypt, has been forced to swallow the existence of the renewed dictatorship and to resume military assistance and arms supplies, despite the flagrant human rights abuses. Across the region the tide had been turned back. In Bahrain, where a Shia majority, encouraged by Iran, demanded civil rights, the Sunni regime increased repression. In Yemen the president went into exile; and in Libya, Muammar Kadaffi was gunned down on the street. But in their absence these countries are torn by internecine conflict and civil war. Bashar Assad has survived in Syria, at the price of drowning the country in the blood of 300,000 citizens, dislocating over half the population from their homes and exiling at least four million. So why has only Tunisia succeeded? Every other unhappy country failed in its own way. In Egypt the greediness for power of the Muslim Brotherhood collided head-on with the army’s unrelenting hold on all the levers. In Libya, it turned out that the desert state was actually a collection of tribes and organized crime families which had been artificially held together by the strength of Kadaffi’s will and cruelty, fuelled by oil money. There was no other shared purpose. Syria, nearly a hundred years after its creation along the lines drawn by British and French diplomats in the Sykes-Picot agreement, has also turned out to be an artificial state, existing only under iron rule. A similar process has been unfolding in Iraq, where the revolution came a decade earlier, following the American invasion. Into the vacuum entered the regional competitors, Iran and Saudi Arabia (which are struggling over Yemen’s future as well) and Turkey. The Saudis are also underwriting the future of the Bahraini Al Khalifa dynasty, and meanwhile another caliph has emerged – Abu Bakr al-Baghdadi, who envisages his ISIS fighters dismantling all other states in the region. Tunisia was perhaps lucky. Its corrupt president Zine El Abidine Ben Ali, fell first, without warning. He had no time for preventive repression. Tunisia has no large neighbor eager to absorb it into its sphere of influence. It lacks significant energy resources and while its Islamists were quick off the mark in preparing for the first free elections, their hold on the public wasn’t strong enough to remain in power for long. Nor is the Tunisian army very powerful or pivotal in the economy. Safeguarding the generals’ interests did not necessitate their holding power. And yes, this may be a bit Orientalist, but democracy needs time to develop and it probably is not a coincidence that the only country to emerge from the Arab revolutions with a functioning democracy is the one which still has relatively intact traditions from its time as a Western colonial possession, such as secularism, organized labor and equality for women, which survived under Ben Ali. Tunisia is democratic now but its character remains largely unchanged – a small sleepy state with a slightly French aroma on the Mediterranean. The human instinct for freedom exists, but the need for stability and survival is more basic. Egyptians chose the familiar generals over the inexperienced Islamists. A matter of habit. In Bahrain, Jordan, Turkey, Saudi Arabia and the rest of the Persian Gulf, most citizens chose not to rise up against the old unbeloved but stable kings and dictators. Who can blame them? No one wants to end up like Yemen, Libya, Iraq or Syria.